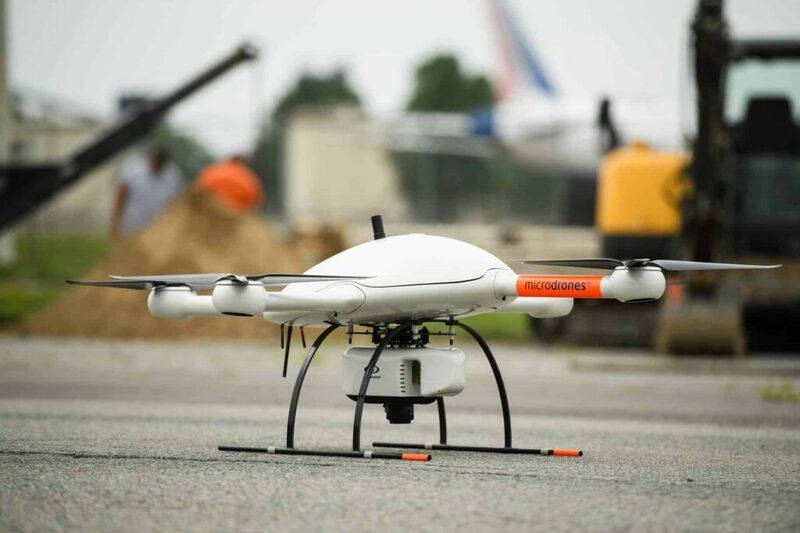 Microdrones has announced the launch of its new mdLiDAR3000, a LiDAR system that combines the heavy lifting power of the md4-3000 UAV (unmanned aerial vehicle) with a RIEGL LiDAR and a SONY camera for rapidly producing colorized pointclouds. The md4-3000 is Microdrones’ largest aircraft with a high payload capacity that makes it suitable for handling heavy LiDAR sensors, advanced mapping grade cameras, and multiple sensors, and provides a robust platform for heavy duty LiDAR geomatics. In addition to this new flagship LiDAR product, the Microdrones team has added new systems to round out its mdMapper lineup: mdMapper1000PPK and mdMapper1000+. All Microdrones mdMapper systems are outfitted to deliver turnkey aerial surveying, mapping, data collection, tailored to the needs of the customer, ranging from the mdMapper1000DG to the entry level, aerial mapping package in the mdMapper200. Hogan explained, “Although not all of our customers may need the power of direct georeferencing just yet, they all need highly accurate and precise data collection. That’s where the mdMapper1000PPK provides high accuracy with just 1-3 ground control points.” The mdMapper1000PPK can be upgraded via the DG READY firmware update.